Do you have a list of things you are going to ask God when you get to heaven? I know I do. After I meet Moses, Noah and Daniel I’m going to get down to the matters that weigh on my brain daily like “Why can’t I get a tan instead of turning a brilliant lobster red every time the sun touches me? Did you really have to make me SO white?” “Why do I gain 5 pounds by merely thinking about looking at an Oreo Cookie Blizzard?” “Why are my fingers fat?” “What is up with having so much gray hair at 31?” There will also be more serious questions but those are for another day. After I find out why I was given the metabolism of a sloth…. I will also ask him why on earth he gave me feet like flippers. I should have been the female version of Michael Phelps, only problem is I swim with the ability of a large rock. I can’t swim but I can clap my feet and bark like a seal. I’ll bet you didn’t know I had such talent! The fact remains that my flipper feet make it almost impossible to find shoes at re-sale shops. I can’t bring myself to pay full retail for anything, it is downright painful. So I don’t get new shoes very often. But Addie dressed herself the other day and came to town wearing a long-sleeve shirt. It was 99 degrees outside. So, I took her to the resale shop to buy her a t-shirt. And there they were in the window! I knew just by looking, they were my size, flipper size! I very unceremoniously crawled into the display window, retrieved them and placed them on my feet. “Yes, score!” I even had a coupon. New t-shirt plus new ballet flats only set me back 9.28. I love them. Thanks for dressing yourself Addie, you should wear long-sleeves in summer more often! p.s. In case you were wondering what exactly ‘flipper size’ is…that’d be a 10. Goodness, we have more in common every time we talk! 🙂 It is okay to be a size 10, just makes it hard to find cute shoes (at least for me). Yeah. It’s true. Speaking of more in common, I was homeschooled too. Mostly just through high school. (And the fourth grade if I recollect.). lol, I feel his pain! I understand! I was a 9 to 9.5 before I had Addie and they sorta flattened out I guess. I had to get rid of all my pre-baby shoes. Oh, well. She was worth it! Flipper feet unite! I wear 10’s too and the best shoes I have are my boots. Flats make me look like a clown with my creepy long toes 🙂 I feel your pain. 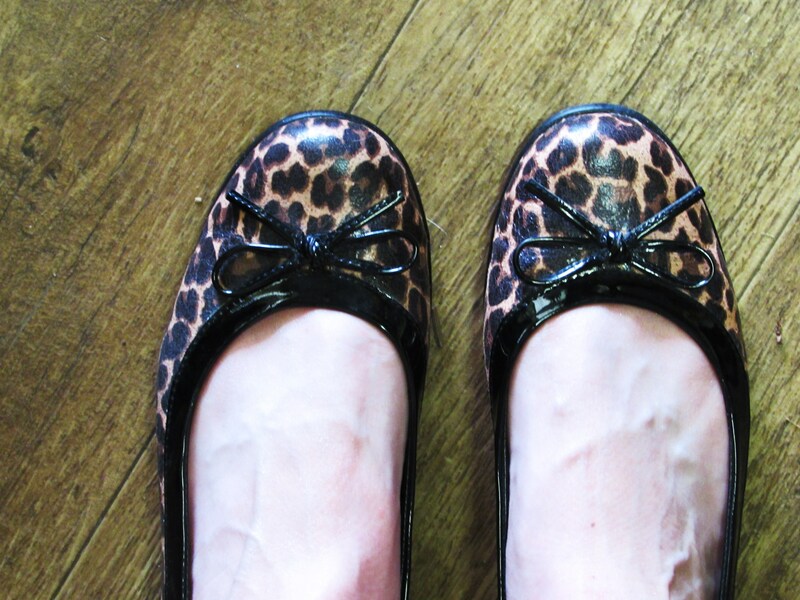 Congrats on finding cute (and cheap) flats! I always ask God why he couldn’t have given me size 8 so I could wear the cute shoes that “normal” women get to!